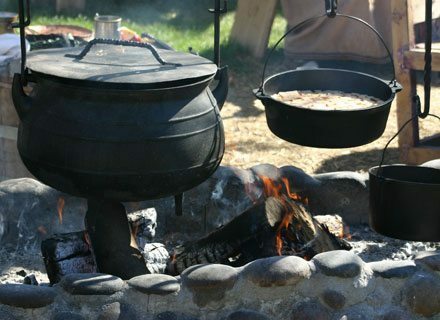 Dutch oven enthusiasts and spectators are invited to come out to swap recipes, sample dishes, and learn cast-iron cooking tips from the experts at the annual Dutch Oven Gathering! Visitors new to the hobby can learn the basics of cast iron cooking in a 45-minute presentation. Following the lesson, participants are welcome to attend the friendly, non-competitive gathering where they will have the chance to sample delicious cookout creations.